Located on one of Aruba's most beautiful beaches, the *Aruba Beach Club* is known for its intimate setting and friendly and dedicated staff! Relax on the beach, play golf at the nearby course (within walking distance), or try your luck at the casino across the street. 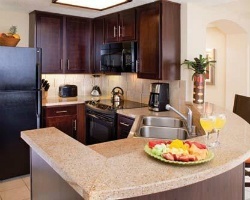 The resort offers 131 comfortable accommodations, all with fully-equipped kitchens and private patios. It is the perfect resort for a truly relaxing get-away! Discover the truly diverse paradise of Aruba at *Barcelo Aruba*, where the ocean waters boast a visibility of 150 feet, making underwater photography very popular. In the area, you will find a long list of restaurants and nightclubs. Come, enjoy Aruba and all it has to offer! 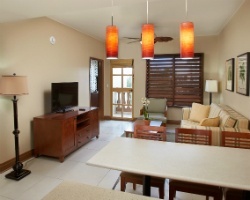 Enjoy the snow-white sands of Palm Beach while staying at *Beach Villas at Divi Phoenix*, a Divi resort. Relax on the beach or at the pool, or enjoy nearby recreational pastimes. In the area are golf, tennis, nightly entertainment, restaurants, and shopping. 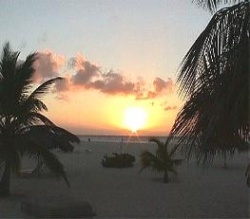 Come and enjoy Aruba, with all it has to offer! Along the sandy shore of Eagle Beach, *Bluegreen Resorts - La Cabana Beach Resort and Casino* offers on-site amenities including tennis, racquetball, squash, gymnasium, casino, and swimming pools. Guests will enjoy browsing through boutiques in the Shopping Arcade, dining in classic restaurants, testing Lady Luck in the casino, and unwinding in a suite filled with modern conveniences. 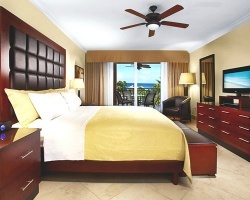 Aruba's *Casa del Mar Beach Resort* offers well-appointed one and two bedroom suites. Spend days strolling on one of Aruba's beaches, sipping cocktails at the ocean view bar, savoring breakfast, lunch, and dinner in the ocean-side al fresco restaurant, or viewing lovely sunsets. Play tennis, work out in the health center, enjoy the weekly activities program, swim in one of two pools, or browse in the shopping arcade. 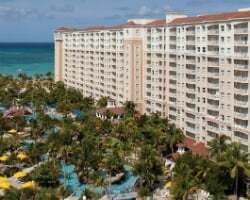 Additionally, the resort features hot tubs, a children's program, on-property water sports and car rentals, and a casino within walking distance. 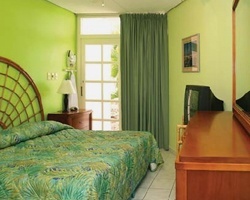 Aruba's lovely coast and beaches can be discovered at Dutch Village, a Divi resort. Here you can create a memorable vacation getaway. Enjoy all types of water activities or casinos nearby. If golf or horseback riding is your desire, either can be found three miles away. 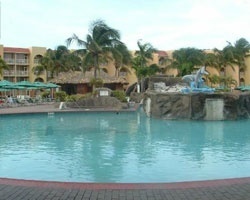 The resort offers a swimming pool, children's pool, and snack bar. Restaurants are available close by at Tamarijn or at Divi Village. Come, relax, and create memories! Aruba's white-sand beaches and breathtaking shades of blue and green waters are sure to be a fabulous backdrop for your memorable vacation at *Divi Village*. Nearby, you can enjoy all types of water activities by day, and casino and live entertainment by night. Let the resort's restaurant prepare your meals while you visit with friends and resort guests. Visit the Seaport, five miles away, for shopping or to see what is in port. Or play 18 holes of golf, only eight miles away. 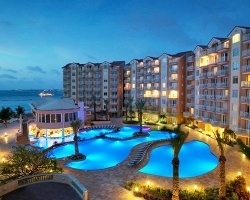 You are sure to enjoy your stay at this beautiful resort on sunny Aruba! 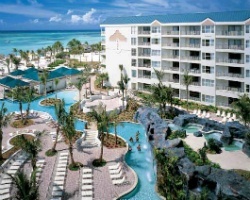 Located on beautiful Eagle Beach, *Eagle Aruba Resort and Casino* features all the luxurious accommodations and all the amenities you'd expect from this outstanding Aruban resort. 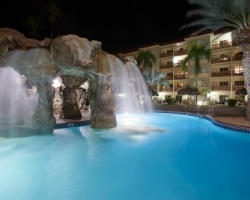 Whether you love the hustle and bustle of the casinos and nightlife or the tranquility of secluded gardens and the beautiful Caribbean Sea, the Eagle Aruba Resort and Casino will provide you with the most complete and affordable vacation in Aruba! 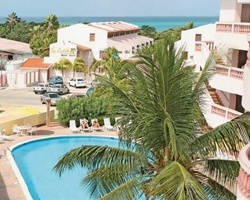 *La Quinta Beach Resort* is a peaceful retreat that lies on Aruba's Eagle Beach, away from the hustle and bustle of the larger hotels. Guests enjoy the intimate atmosphere and quaint surroundings of the resort, and also the top-notch amenities. Features of this resort include two outdoor pools and a pool bar, a restaurant, and a cocktail lounge. 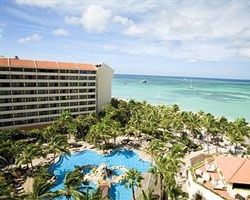 *Marriott's Aruba Ocean Club* is located on Aruba's exquisite shore, and offers oceanfront and ocean view villas! 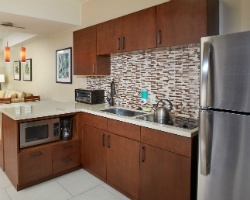 Villas are furnished with whirlpool tubs, balconies, and fully equipped kitchens. At the resort and in the surrounding area guests can enjoy activities such as shopping, tennis, golf, relaxing at the day spa, dining and bar-hopping. 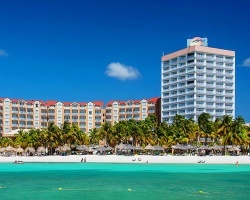 Water sports, horseback riding, and more shopping can be enjoyed on Aruba's mainland! 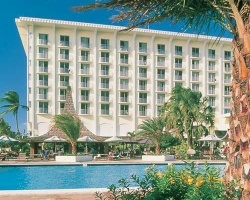 For more information about this picture-perfect Marriott resort, visit www.marriottvacationclub.com. 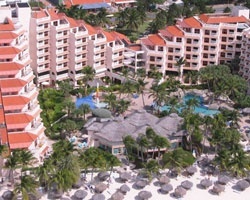 *Marriott's Aruba Surf Club* is located on the shores of Palm Beach and offers villas with spacious living areas. 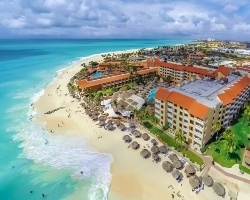 Guests of this upscale resort have access to the Aruba Marriott Resort and Stellaris Casino, including its spas, pool with waterfall, shopping, and Las Vegas-style entertainment. The Caribbean is ideal for swimming, snorkeling, diving, and windsurfing, and also provides a brilliant backdrop for golf and tennis! 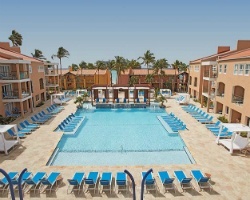 For more information about this picture-perfect resort, visit www.marriottvacationclub.com. 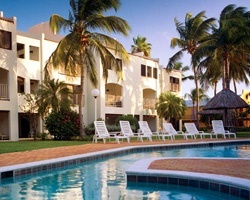 *Playa Linda Beach Resort* offers all the ingredients for a perfect Caribbean vacation. Sail, swim, fish, surf, or just relax on one of Aruba's most beautiful beaches. You'll enjoy the resort's swimming pool, which features a lovely waterfall and is surrounded by lush, tropical landscaping. 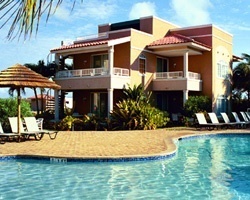 Two gourmet restaurants are also on the grounds along with a pool and beach bar. Nearby, enjoy the 18-hole championship Tiera Del Sol Golf Course, designed by Robert Trent Jones Jr. 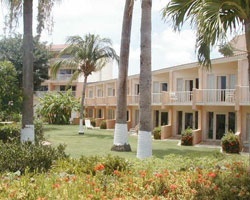 The resort offers the best in on-site facilities and warm Aruban hospitality. 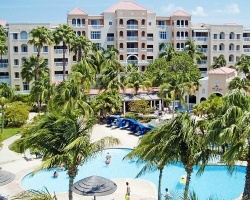 *Renaissance Aruba Resort and Casino* offers one-bedroom suites, an array of restaurants, Okeanos Spa, marina, a shopping mall, and shopping marketplace with a wide variety of shops and exclusive boutiques. 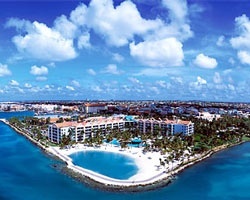 This is the only resort in Aruba with its own private island with complimentary water taxi. Two swimming pools and two casinos round out the resort's amenities. Nearby, a championship golf course and variety of water sports await! This is the only unit we have left for rent in 2020 - 5th floor, island view! Rental is available in week 29, July 20th through July 27th, 2019! Inquire for details! Ocean view unit! November 8th through the 15th, 2019 available for rent! This ownership is also for sale-- please see ad# 2345977! Rental is available in week 50, December 16th through the 23rd, 2019! Inquire for details! 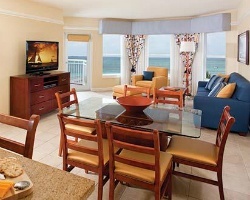 Enjoy New Years in this ocean view suite! Check in Dec 26th, 2019 until Jan 2st, 2020! Inquire for details! Rental available in week 51! Secure week 51 today! Great option for all ages! Stay for 2 weeks, week 51 and 52 for $3000. Spend week 52 in Aruba! Great option for a romantic getaway! Explore Aruba during week 52! Stay for 2 weeks, weeks 51 and 52 for $3000. One Happy Island ....Aruba - escape today! Price is negotiable.Get approvals for 90 days in advance. Week is typically around Memorial Day, however, other times can be requested! Make an offer to rent today! 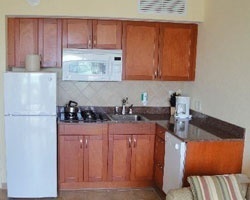 Weeks 26 and 27 (late June/Early July) available in a 1 bedroom deluxe oceanfront unit, $850 per week. Inquire now! 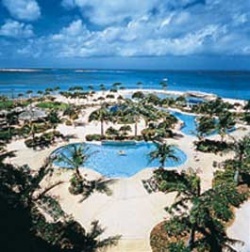 Spend President's Day week in beautiful Aruba! Monday check in! February 16th thru 23nd, 2020. Inquire now! Negotiable! Saturday June 29th through July 6th, 2019! Ocean view unit! Escape to this tropical vacation getaway! Rental usage in June, High season week! 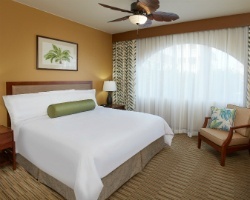 Book your trip to paradise today! Vacation in Aruba during week 17! Secure this amazing rental today before it's gone! Rental is available during week 5! Try your luck at the casino onsite! Secure week 7 today! There are various amenities available onsite! Rental is available in week 24, June 15th through June 22nd, 2019! Inquire for details! Rental is available during week 10! Rental is available during week 11!